Everyone and every single college desire to have their own site for their business interest. 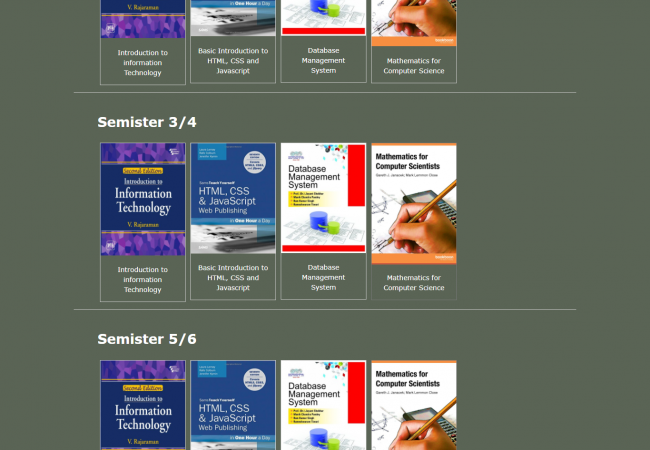 Nowadays, many schools and colleges desire to have their own professional and business websites. We use HTML for this purpose. This project develop with the concept of the above-mentioned pieces of information. 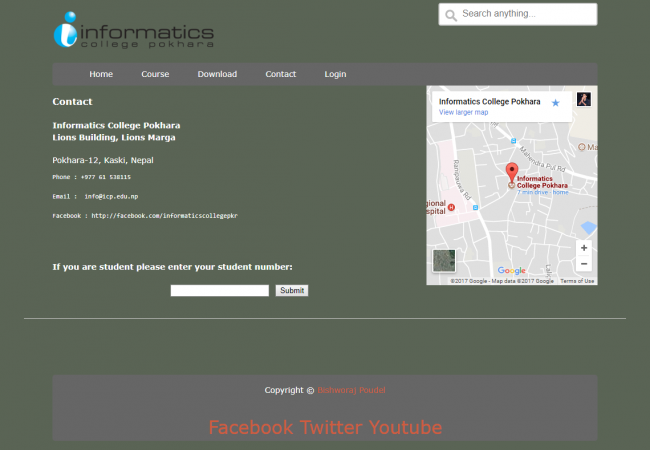 Students get the idea of to develop the useful college and school sites for their skill orientation. 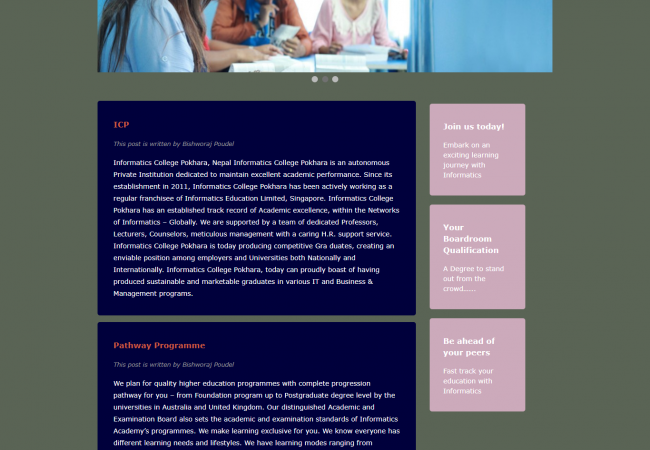 This project is the complete website of a college specification where you can find lots of news regarding the fee structure, admission procedure, exam routines and so on. The user interface is attractive with normal screen design so that users can easily search there stuffs. 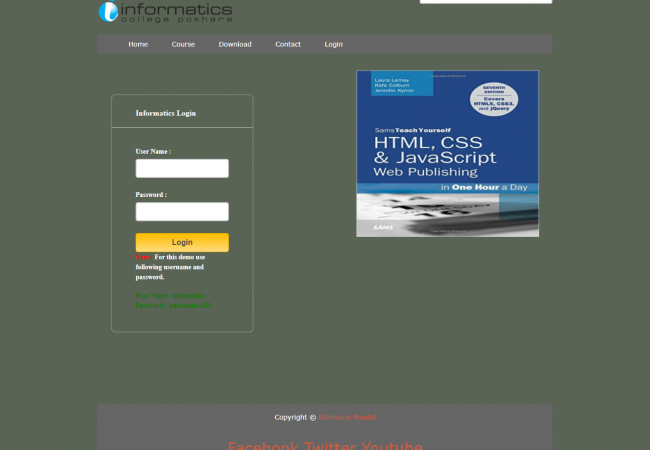 This simple yet very useful and well-maintained site is developed with HTML tags. The whole project is designed in HTML language. Different tags have been used for the development of the project. It is quite easy to use and handle. There is no any error and warning contents in the project. A customer can easily open the website and can order their gadgets in their home within the certain time, which saves the time of the customers. The user interface is simple and very user-friendly. The form validates so that the customers can input their correct identity. The customer’s identity and their orders are in the website Database, which is a very useful than the documented files. The customers can connect with the social media like as Twitter, Facebook, Instagram, Youtube, Viber and so on, that’s why they can get there new updates and notifications. The customer can easily find the store by viewing the contact page information.